Because every day pairs better with Rosé,” is the philosophy of Craig Palmer and Allen Habel, co-founders of Experience Rosé, a brand that fully celebrates the pink drink. The brand will host an array of events in 2019, kicking things off with Experience Rosé: The 2019 Competitionin May, wherethis year,for the first time ever, they’ve opened the competition up to all rosé-infused products (both domestic and international). Wines will still be the focus of the competition, but producers of rosé-infused spirits, beers and ciders are encouraged to enter as well. Produced by Wine Competitions Management & Productions, the judging will take place at Soda Rock Winery in Healdsburg, Calif. on May 1, 2019. 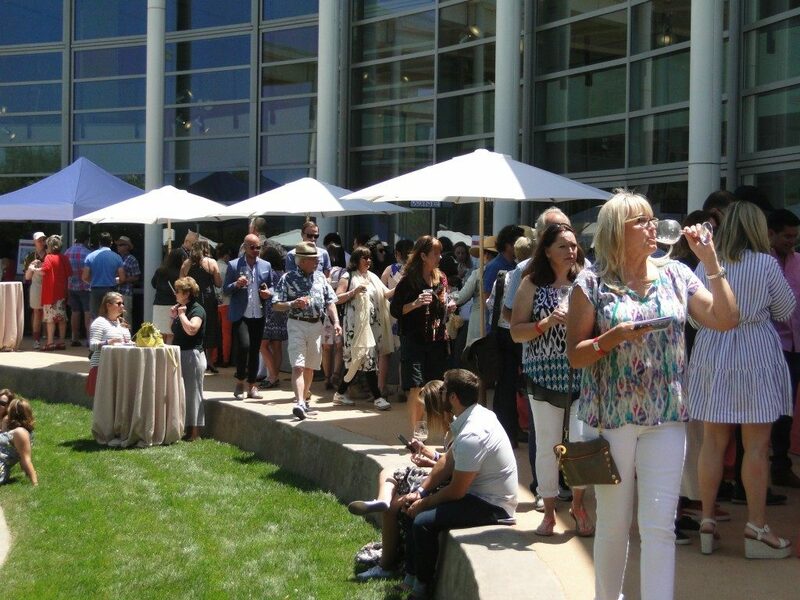 Gold-and-above winners in the Competition will be invited to showcase their wines at The Great Rosé Infusion of Summer event, to be held Saturday, June 22, also at Soda Rock Winery in Healdsburg. This consumer event will provide lovers of the pink with the opportunity to sample the most outstanding Rosé wines in the world alongside a selection of exceptional non-wine Rosé entries, all paired with custom-tailored gourmet accompanimentsof both the savory and sweet variety. The Experience Rosé: The 2019 Competition on May 1 will showcase the best of the best from both domestic and international producers in dry, sparkling and sweet categories, while presenting a wide range of Rosé winemaking styles. The event will be held at the Alexander Valley’s historic Soda Rock Winery. The deadline to enter the competition for winemakers is Friday, April 26, with shipments due by Monday, April 29, 2019. Experience Rosé: The 2019 Competition is currently accepting entries. Winemakers can register by visiting https://www.winecompetitions.com/experiencerose. A panel of distinguished wine industry insiders will judge.The competition gives entrants several incentives: 1) Gold-and-above winning wines will be featured at an exclusive Experience Media Day*, to be held at Soda Rock Winery the day after the competition, on May 2; 2) The judges’ tasting notes will be shared with all gold-and-above winners post-competition; and 3) Winning wines will be invited to pour at the Great Rosé Infusion of Summer consumer event in June. *At the Media Day on May 2, results from the competition will be announced and select media, trade and VIPs will be invited taste wines that scored gold-and-above. On Saturday, June 22, The Great Rosé Infusion for Summer at Soda Rock Winery, will allow attendees to sip winning wines from the competition paired with culinary creations from star chefs in the region. Other Rosé-infused beverages (spirits, beers, ciders) will also be served in a special pavilion. Tickets for The Great Rosé Infusion for Summer can be purchased by visiting: www.experiencerose.com. Direct link to purchase tickets on Eventbrite is here. A second consumer event will be held in October in Mendocino County, with details to be announced at a later date. This entry was posted in Get Out - Food and Wine Experiences and tagged wine. Bookmark the permalink.